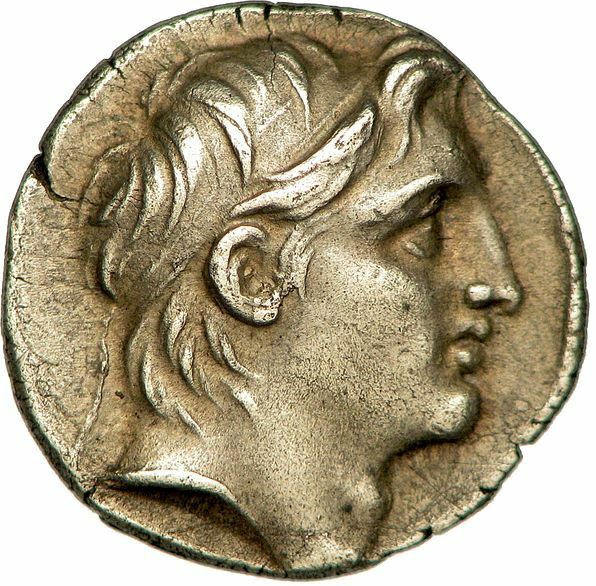 Demetrius I was ruler of the Hellenistic Seleucid Empire between 161 and 150 BC. He was sent to Rome as a hostage during the reign of his father Seleucus IV Philopator. When his father was murdered by his finance minister Heliodorus in 175 BC., his uncle Antiochus IV Epiphanes killed the usurper, but usurped the throne himself. When Antiochus IV died in 163 BC, his 9-year-old son Antiochus V Eupator was made king by Lysias. Demetrius was then 22 years old , and requested the Roman Senate to restore the throne to him, but they refused. Two years later, Antiochus V was greatly weakened. Demetrius escaped from Rome and was welcomed back on the Syrian throne in 161 BC. He immediately killed Antiochus V and Lysias.